On a short vacation I was in Mykonos I saw the blue colors there. And I've already heard pads. I thought about how to combine the calm atmosphere of Mykonos with the sounds I heard on the streets and beaches. 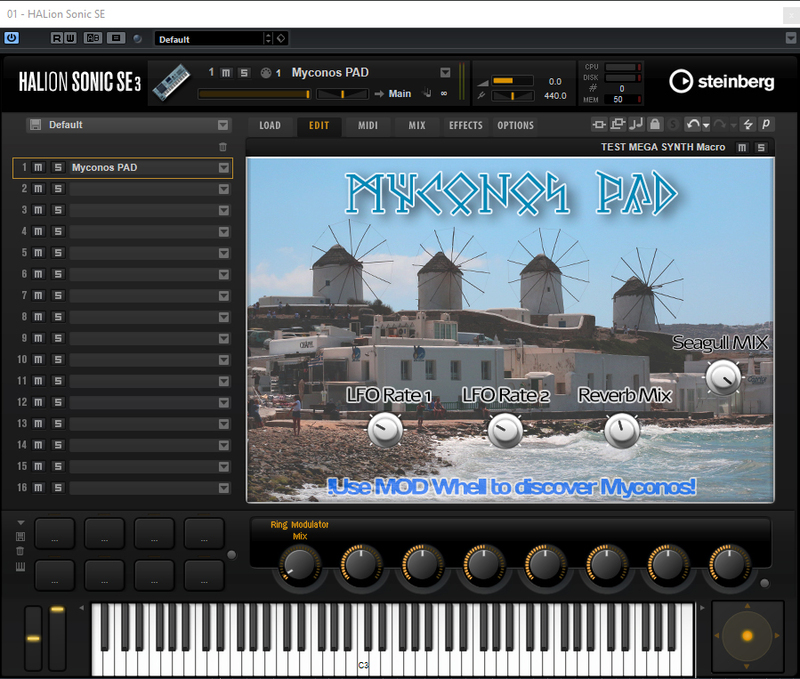 Play and discover the special sound of Mykonos. just extract "Myconos PAD.rar" to your VST Sound folder in your cubase 9 installed main folder. then go to "Myconos.vstsound" and open it. then aprove it. then you can open Cubase 9 and Halion Sonic SE 3.
! USE MODWHELL TO DISCOVER MYCONOS !